Finding source code complex and hard to be comprehended? Produce a Sequence Diagram from your Java code is the solution. 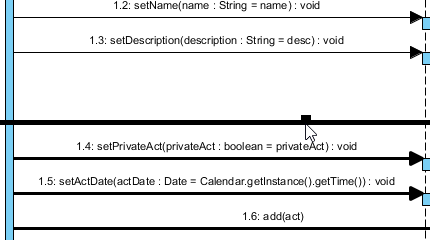 By visualizing the dynamic behavior of your source code into a UML Sequence Diagram helps you understand system logics among components of classes, and thus, revealing the classes involve as well as their relationship in run time. 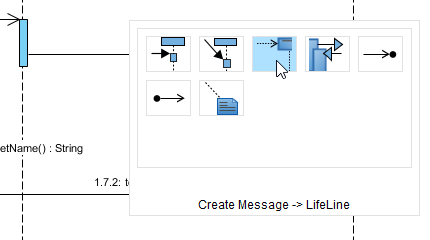 Visual Paradigm enables you to reverse your Java source code into UML Sequence Diagram. This excellent feature is particularly great for reversing legacy source code into UML documents for system extension or modifications. 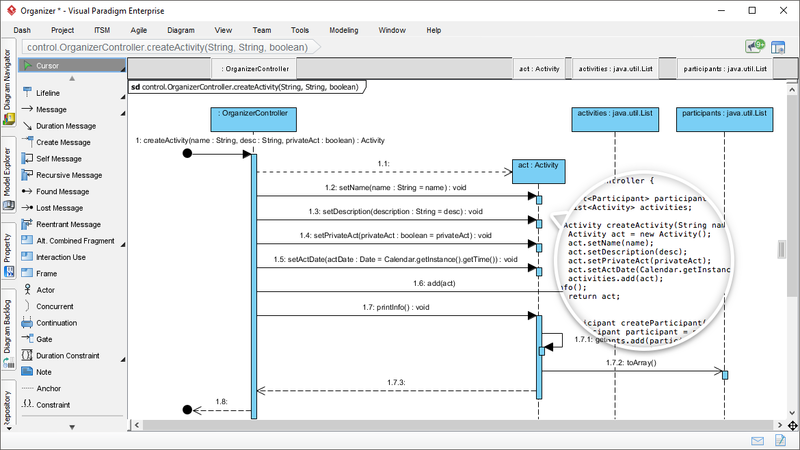 Complementary modeling diagram toolset: Full UML, BPMN, SysML, ERD, DFD, Mind Map and many more!